I am in the process of planning the menu for our Beach Bash Birthday. I just came across this recipe on Taste of Home, and I think it could be a strong contender. Who doesn't love regular watermelon on a day at the beach? 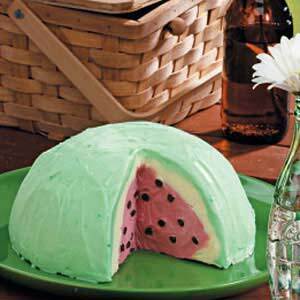 How about sherbet that looks like a watermelon. Yum! You can see the recipe to make a shertbet watermelon here.